IBM publishes loads of free Redbooks. 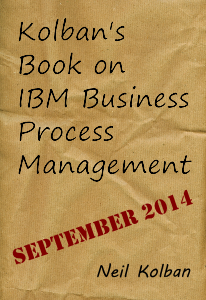 But for the IBM BPM solution, there is another great - and free - source of information. i8c colleague Jef pointed me to the free book of Neil Kolban. Neil Kolban is an IBM employee who gathers all there is to know about IBM BPM and publishes in a This free book is really a great source of information about the IBM BPM offering ("IBPM").